Live in the heart of Cocoa Beach! This home is located close to the beach, Cocoa Beach Pier, shopping, great restaurants, the Port and major roadways. 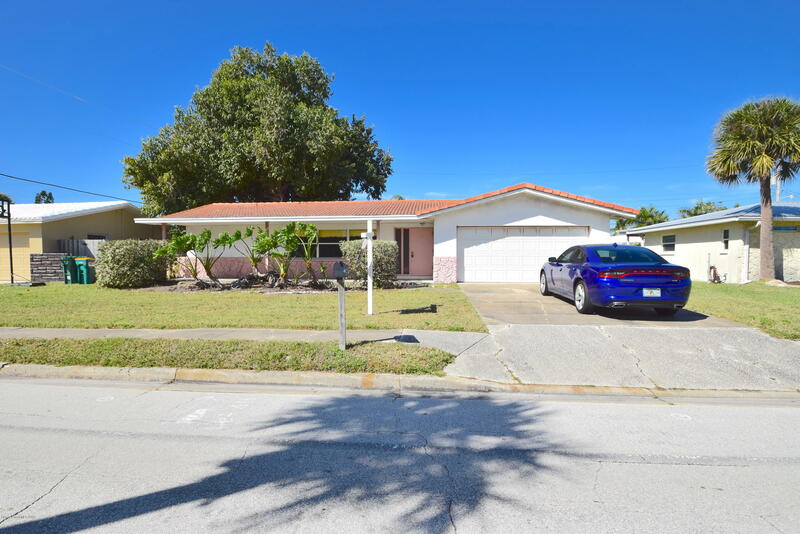 Home has 4 bedrooms, 2 baths with oversized 2 car garage and a grand Florida room. Split plan has spacious bedrooms, formal living room, dining room and family room. This is an estate sale and needs some TLC. Make this a great winter home if you're a snow bird or make this your endless summer home!